NEW ORLEANS - Fire up the cast iron pots, It's Gumbo week. On Sunday we learned the top-seeded New Orleans Saints will face the Los Angeles Rams in the NFC Championship. And that only means one thing, gumbo will be served. 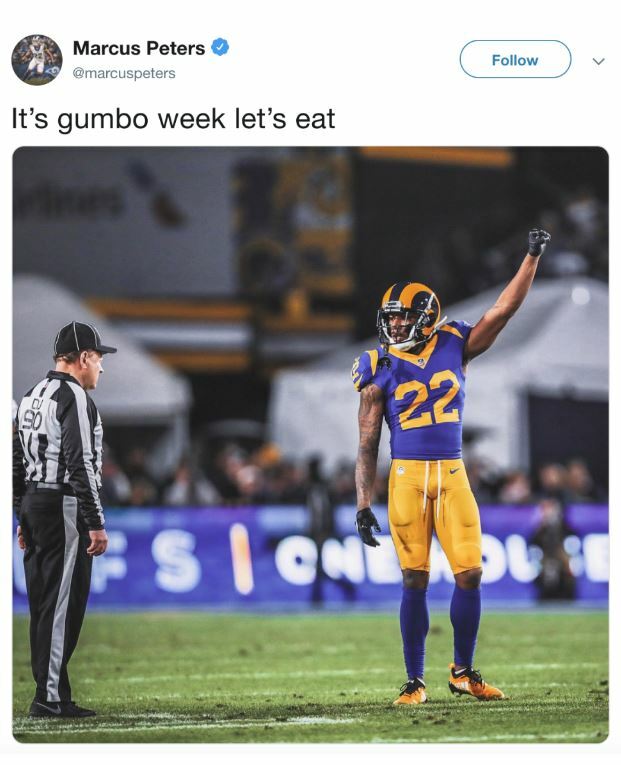 Less than 24 hours after the Saints eliminated the Eagles from the postseason, Rams cornerback Marcus Peters teased Sunday's upcoming NFC title meeting with a little bulletin board material. Why's this important? Let's backtrack to Novembers week nine 45-35 win over the Rams. Saints receiver Michael Thomas burned Marcus Peters that day for 211 yards including the 72-yard game-winning touchdown that led to a flip-phone celebration and the Rams first loss of the season. After that specific game, Sean Payton talked about the matchup. On the flip side, word of Payton’s comments traveled back to Peters, and when asked, he fired back with an epic response. Now the rematch and gumbo party is on, except if the Saints win. I doubt Peters will be invited to the Saints lockeroom dance party for a hot bowl of gumbo if New Orleans punches a ticket to Atlanta and Super Bowl LIII. Who knows, maybe the Saints will win and package some gumbo up for Peters just like they did for Cam Newton with a broom and bottle of wine. Bookmakers list New Orleans as a 3.5-point favorite, with the over-under for total points scored set at 57.